The first ancestor of the present family in America, Edmund McGinnis (256), was born about 1720, traditionally in County Antrim, Northern Ireland, across the water from Scotland. Other family histories mistakenly list the immigrants as three brothers, Edmund, James and Pyrrhus, but these men belong to a later generation, grandsons of Edmund and pioneers of Cabell County, WV. According to Rev. Dr. Ira McGinnis' 19th century diary and family history, Edmund came to America with his wife Sara, his son James (Ira's grandfather), his son John and his daughter Nella Driver. They probably first lived near Philadelphia. Today Pennsylvania is still the home of most American McGinnis descendants. But Edmund's name first appears in historical records in Frederick County, VA in 1764. His name often changes from Edmund to Edmand to Edward, even within a single legal document. On August 5, 1766, eight years after the town of Stephensburgh, now Stephens City, was established west of the Shenandoah River, Edmund McGinnis acquired a half-acre lot at German and Fairfax streets. He also bought two ten-acre "out lots" north of town near Rabbit Lane for 30 pounds for one year and "rent of one ear of Indian Corn." The same day he made the same arrangements for a lot on Mulberry Street and two out lots near Squirrel Lane. He disposed of these parcels in 1775 and 1772 respectively in deeds signed "Edmund Mcginniss and Sarah, her mark" (apparently she couldn't write). In 1777 Edmund acquired a lot on German and Market streets, which by 1783 had become the site of his son John's tavern. As early as 1777, John McGinnis gave up his new position as constable in order to run a tavern or "ordinary" at his house, where he provided food, lodging and drink to guests. That year Stephens City issued 27 other ordinary's licenses. John's career as an ordinary keeper continued at least until 1795, when only 11 ordinary's licenses were issued. For years, one of John's arch competitors was William Glasscock, whose 1788 advertisements for "The Sign of the Ship" offered "Lodging 6 pennies and Stabling 1 shilling per night" as well as a large variety of alcoholic beverages. On May 3 1779 John McGinnis was sentenced to serve in the Continental Army in the place of two deserters he had harbored and concealed. But he may have never gone to war -- in September he was granted yet another ordinary's license in Frederick County! Court records from 1780 to 1787 abound with suits between Glasscock and John McGinnis, and in March 1783 Glasscock even charged Edmund (age about 60) and John with assault and battery. Both sides agreed to dismiss the case. But perhaps in response to John's legal troubles, Edmund himself took out an ordinary's license in May 1783, less than a month after he sold the Market Street lot to his son John. In August, Glasscock sued Edmund! Edmund's family was often in court, either as plaintiffs, defendants or jury members. Edmund won two cases as plaintiff between 1767 and 1770, and his name appears in many other court records during the same period. By 1800, a century of warfare with Indians east of the Ohio River had ended with the signing of the Treaty of Greenville between Gen. Anthony Wayne and Indian leaders. Wayne had won the 1794 Battle of Fallen Timbers in Ohio. As a result, many more settlers began moving into western Virginia. Now Stephens City, VA saw an increase in roads as well as orphans. By the time Edmund McGinnis died about 1799, his grandchildren were already living on the Ohio River, near the farthest frontiers of the country. 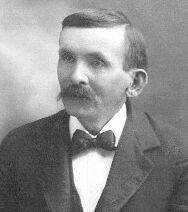 James McGinnis (128), was born about 1750 in County Antrim. In 1774 he married Sarah Davis (129), a Welsh girl, and Samuel, their first of seven children, came along later that year. His other children were named Edmund, John, Anna, James, Achilles and Pyrrhus. To name his youngest sons after characters from Homer's Illiad, James's family must have been educated, unusual on the American frontier, or at least familiar with Greek literature. James owned hundreds of acres at various times. James enlisted in the Continental Army in April 1779 and served as a private in "Capt. Ambrose Madison's Co of foot in the Regiment of Volunteers Guards, at the barracks in Albemarle County, whereof Col. Francis Taylor is commander to June 1, 1779," earning 6 2/3 dollars a month. In March 1779, the family bought land in Frederick County, VA, and added 97 adjoining acres in 1792, confirmed in 1802. John Mason sold him 100 acres on December 21, 1795. In 1787 James owned two horses and two cattle. After that, he owned no cattle, but he usually had a horse or two. According to these tax and census records, few of the McGinnises owned slaves. Family tradition says James McGinnis saw the surrender of Lord Cornwallis at Yorktown which ended the war in 1781. Like his father Edmund, James was often involved in litigatio in Frederick County. Sometime between 1770-1772, James also sued Julius Spicker for not paying him wages. Spicker lost the case, and also had to pay a dollar to each member of the court to travel 13 miles to view James' work. When his brother John had to post bond for four thousand pounds in June 1780, James posted one thousand and John Windros Driver, who was probably their brother-in-law, posted another one thousand. In March 1784 he served on a Frederick County jury. In March 1784, he sued Conrad Rominus. By October they had referred the case to two arbiters, and in November James was awarded five pounds ten shillings three pence plus his costs. In March 1798 Edmund McGinnis was ordered to pay $4.24 to John and James McGinnis as witnesses for his case Rutherford vs. McGinnis. James was sometimes the defendant as well. Young James was sued by George Cabbage, the man to whom Edmund sold his Mulberry Street and Squirrel Lane lots in 1772. William and Elizabeth Irons charged James with "Tresspass assault & Battery" between 1772 and 1778, but the case was dismissed, as was a similar charge from John Smoot in August 1780. The 1792 Frederick County Order Book lists an August case, "Upon the attachment of James McGinnis against Wm. House. And it is ordered the said garnishee do pay and satisfy the plft. the judgment." In September 1796 a whole group of men petitioned against each other but later all came to agreement, including James McGinnis against Eben Williams and Mathy Dixon against Samuel McGinnis, James' son. Other cases, including trespass, assault and battery, and another unknown charge, were settled in 1798, 1799 and 1801. To prevent further trespass proceedings by Jesse Manley, James put up a bond as security in the county clerk's office in 1801. James and Sarah probably went to Montgomery County, KY in late 1805 to be near their son John, who had moved to Kentucky by 1798 and married there in 1803. On May 2, 1808 they sold some of their Frederick County land to Samuel Gard, a relative of their daughter-in-law Sarah Caudy, and sold the rest to Bazzel Norman. On the same day, they spent 35 pounds for 75 acres of "third rate land" on the waters of White Oak and Flat Creek in Bath County, KY, and sold it for $300 on October 11, 1816. James was taxed in Jones County and Bath County, KY, as late as 1819. On August 1, 1823 James, now more than 70 years old, sold his brother John's lot (where John had kept his tavern) to his sons Edmund and James, having claimed the property as John's only surviving heir. John and his widow Elizabeth had died childless. But the next year, Abraham Lindo appeared with a deed to the same property, showing that John had sold it to him on March 16 1802 for $1500 but never recorded the transaction. Today the lot is the site of Stephens City United Methodist Church. 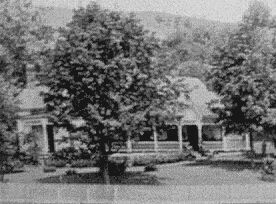 James and Sarah McGinnis's sons Edmund, James and Pyrrhus settled in Guyandotte, Cabell County, WV, on the Ohio River, in the first years of the 19th century. By 1823 James and Sarah had moved to Guyandotte, where his son Edmund kept a tavern, having recently been defeated for election after six terms in the Virginia legislature. In their later years their son James, Jr., a physician, cared for his parents. 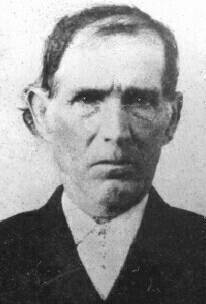 James is recorded in Cabell County on June 25, 1827 (at nearly 80 years old) as having been paid $3 for making a coffin, with his son James Jr., and that is the last official record of him. The Origin and History of the Magennis Family suggests he and his wife lived until about 1832. 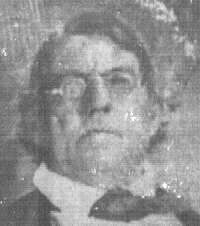 James' eldest son was Samuel McGinnis (64), the father of the Rev. Edmund McGinnis, who remembered weeping when he first heard his father pray. He was probably born in Stephens City, Frederick County, VA. About 1774 he married Margaret Henshaw. In 1796-1798 he owned two horses. In 1815 he had three horses, two cattle and no slaves. The 1820 Census lists him as owning a female slave between 16 and 26 years of age. Court records show he was sued for trespass by Jess Mandly in November 1799, and again in 1801 (along with his father). In 1801 they pleaded not guilty but they were ordered to pay $108.96 plus court costs. Samuel enlisted in the War of 1812 as a private in Capt. John Simmons' Company of Riflemen, 2nd Regiment (Evan's) Virginia Militia from Cabell County, for a period of Sept. 12, 1812 to Mar. 29, 1813. His salary was $6.66 per month. By October he had paid Valentine McCormick to substitute for him for the duration of his enlistment period, a common practice at the time. Samuel's regiment helped build Ft. Meigs, near Toledo, OH, but he was probably gone before it even reached its rendezvous point at Point Pleasant on October 20. In 1813, Samuel got a land grant for 350 acres at "Two Forks of 4 Mile Creek," which later turned out to include part of downtown Guyandotte (now part of Huntington, WV). With the support of his influential brother Edmund, Samuel was a Cabell County constable from March 1816-March 1817, when he became overseer of road repairs in his area. He became constable again in July 1818. According to Cabell County records transcribed by Irma McGinnis Dotson, his precinct included "the narrows above Nine ? Mile Creek on the Ohio River down the Ohio River to the Mouth of Four Pole Creek including the inhabitants of Four Pole Creek, with the road leading from Four ? Pole to Barboursville, including the house of ? ; then John Barner with the main road to Pecis Ferry and to the beginning and that the said Samuel to govern himself accordingly." He died in 1823, father of nine children. More than half a century after the death of the Rev. David Allen McGinnis (16) his grandson Herbert could still report, "Everybody says he was the finest man they ever met." David Allen was born on October 1, 1822, in Guyandotte, WV, on the Ohio and Guyandotte rivers. When Cabell County, Virginia, was formed in 1809, Guyandotte was its largest community. The town was officially incorporated the next year. A century later, in 1911, Guyandotte was absorbed into Huntington, West Virginia. As a boy, David Allen worked on his father's farm and in his father's store. A lover of books, he studied at Marshall College in Huntington, WV and became a schoolteacher in Wayne County, WV, first as an assistant at 17 and a schoolmaster by 18 or 19. An early journal records his disappointment at having to "whip twenty of my scholars" one day. He took up teaching again after he was forced to give up full-time preaching, and settled in Ritchie County. His teaching career in Wayne and Ritchie Counties lasted 17 terms. 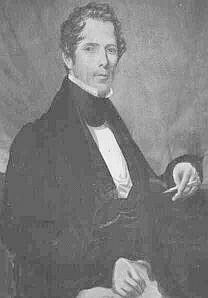 David Allen joined the Methodist Church at 13. On his twentieth birthday he wrote that he would be pleased if the next twenty years could be spent in service to God. Two years later, on August 17, 1844, the year the Methodist Episcopal Church split over slavery, he was licensed to preach under the anti-slavery faction. 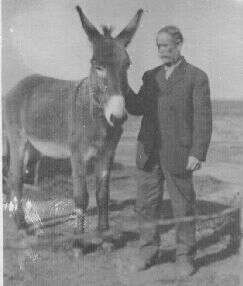 Like his father Edmund McGinnis, for years he served as an itinerant circuit rider. Based in Fayette and Raleigh counties, he traveled hundreds of miles to preach in settlements as far away as Kentucky that had no ordained ministers. 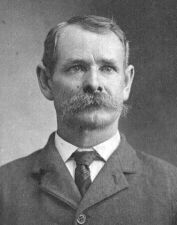 According to tradition, his uncle Pyrrhus McGinnis invited him to preach "the first Gospel sermon" in Beckley, east Raleigh County, though Pyrrhus did not join the Beckley congregation. Beckley church records from 1850 say, "Brother David A. McGinnis was named circuit pastor with Lorenza Hill as junior preacher." From the 1840's until at least the 1860's, David Allen kept a journal. As late as 1975, it was still preserved in a cupboard in Mountain WV, at a home which has been continuously owned by his descendants the McCullough and Perkins families. His daily journal entries dutifully record how he had profitably spent his time, what he had studied, what he had preached on and where. Often he closes with, "I think I have grown in grace today," or mentions his enjoyment of God's presence. The 1850 Fayette County WV Census lists his occupation as "Devine." 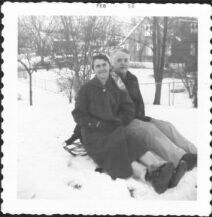 But he was no longer a circuit rider, having lost his health through seven years of constant traveling and preaching, even in cold, wet weather. In 1852 the West Virginia Annual Conference of the Methodist Episcopal Church gave him a "supernumerary relation" and a few years later, he was "superannuated." But he continued to minister. He was the first pastor of Mole Hill Methodist Church, now a union (nondenominational) church. When his son Enoch Marsh McGinnis moved to Texas in the 1890's, David Allen wrote the official church letter for him, certifying that he was a member in good standing of the Methodist Episcopal Church. On Feb. 22, 1886 David Allen McGinnis wrote to his daughter Samantha: "With pleasure I write to you to inform you that I am in my usual health. I have been by myself 4 months. Melcena has come home. I am attending church. We had a good meeting last night. I am serving God and trying to get to heaven. I want to be ready for death every day. Pray for me and all my children that we may all get to that good world where there will be no more parting. My love to you & Mr. Young & all the children. D.A. McGinnis"
David Allen McGinnis married Sarah Jane Marsh when he was 27. In July 1852, with their infant son Parmenas, they settled down on a farm near the head of the north fork of the Hughes River, near her parents Mary Ann and Enoch Marsh, in Ritchie County. After his wife died in 1876, leaving eight children still at home, David's 14-year-old daughter Sarah kept house for him until she married in 1883. Then Liza and Lina took over until their deaths from tuberculosis at age 20. In 1887, ten years after his first wife died, David married again. At 47 Nancy Hammett was almost twenty years younger than him, and well able to help on the farm as he entered his seventies. One May morning at six, as his daughter Melcena Grimm describes it, he was helping Nancy milk "a fractious cow with a young calf. He was somewhat wearied with the cow. Nancy left him to strip the cows and went to bug the potatoes in the garden. When she came back to the house, he had his hands in a pan of cold water," saying they were stiff. Recognizing that he was "threatened with paralysis," probably a stroke, she tried to help him, but moments later he was falling to the floor. She called out that she would send for the doctor, and he replied, "I am too sick to tell you what to do." 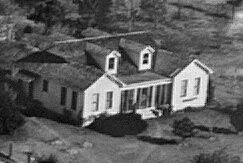 Nancy ran down to John Marsh's house, where she found Dr. Isaac Jones, whose daughter Nina had married David's youngest son John. When the doctor came, he said there was nothing he could do for the dying preacher. As his family members gathered at his bedside, David seemed to recognize them, but could not speak. He died two days later, at about nine o'clock Sunday night, May 17, 1896. His funeral at the Mole Hill Methodist Episcopal Church that Tuesday, preached by a minister just arrived from Ireland, was the largest ever held in town. He left no will. His tombstone, in the unmarked Marsh Family cemetery in Mountain WV just off Route 74, reads, "Kind father of love thou hast come to thy rest/Forever to bask mid the joys of the blest." He is buried next to his daughter Clara and her husband Francis McCullough, and two other daughters, Lina and Liza. Melcena wrote to Enoch, "We are all sure he was satisfied to die. His life ought to be our example to do right in the fear of God." The History of Ritchie County called him "a man of pronounced views and of a deeply religious character, and the influence of this character has left its impress upon his descendants, who ever stand for something in the communities where they reside." His namesakes include Michael David McGinnis, C. David McGinnis, and two or three great-great-great grandsons. Sarah Jane Marsh (17), a schoolteacher and the daughter of Enoch Marsh, met David Allen McGinnis while he was preaching in Ritchie County, and married him on October 8, 1849 at her parents' home, with Francis Guthrie performing the ceremony. (Later the name of the town was changed to Mountain, WV -- thereby making a Mountain out of a Mole Hill.) They lived in Mole Hill for the rest of their lives. 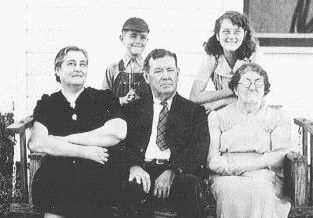 This deeply religious couple bore twelve children in 19 years, all of whom stayed in West Virginia except Enoch and John. Several of their children became teachers like themselves. Sarah seems to have been well capable of managing her large household. In 1876, she wrote a letter to her 20-year-old daughter Samantha Beuhring McGinnis Coplin, who had just given birth to the first of her 15 children: "I am going to tell Samantha how to treat herself. You should not eat any thing more than milk warm if you eat your victuals hot you will take cold easy do not keep covered warmer than is comfortable and do not bear your weight on your feet for 9 days and not then unless your very stout You must not do your work for 3 weeks and not then unless you are stout...You do not belong to a very rugged family but I think if you take care of yourself you will be stout." Sarah did not know that she herself would pass away in just a few months, dying of "the fever" on November 11, 1876. 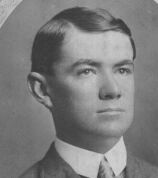 When she died, Enoch Marsh McGinnis was the oldest son at home. For the McGinnis photo page, click here.